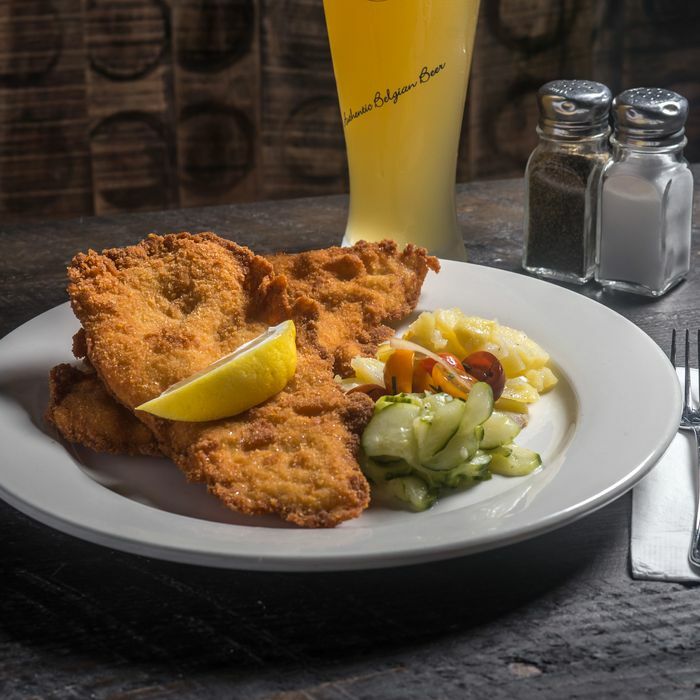 Between the revival of Jams, the arrival of Wildair, and, now, the opening of Werkstatt, New York is experiencing something like boom times for meat that’s pounded, breaded, and fried until crisp. Yet Werkstatt’s entrance is also notable for reasons that go well beyond the excellence of its schnitzel. 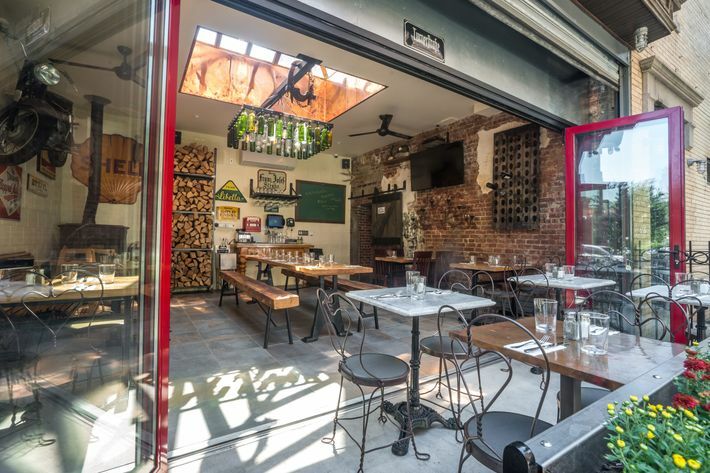 The opening marks the New York return of Austrian chef Thomas Ferlesch, who five years ago sold his Fort Greene bistro Thomas Beisl and was most recently seen at Hoboken’s Pilsener Haus. 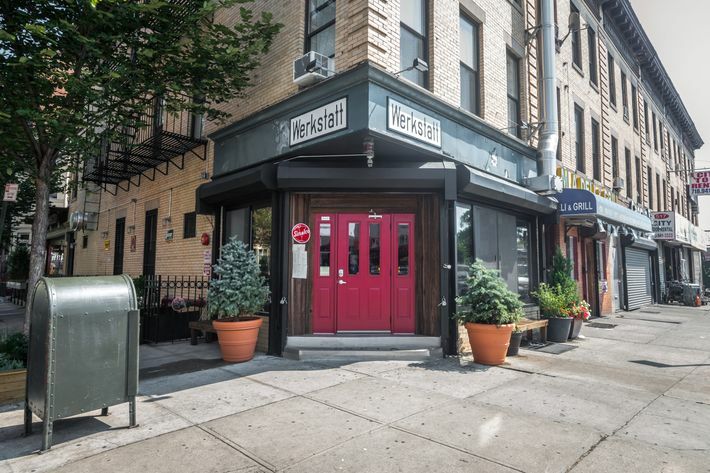 The chef’s legacy in this city, of course, runs much deeper: In 1981, after taking over the kitchen at Vienna 79, he became at 24 the youngest chef ever to receive a four-star review from the New York Times. 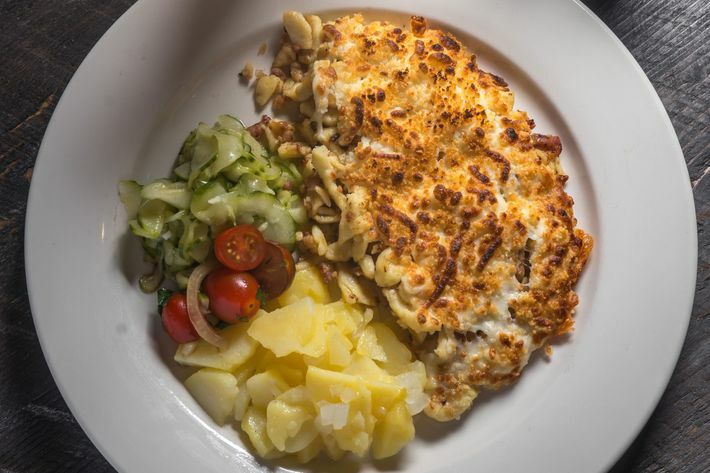 Once a pioneer of modern Viennese cooking in this city, Ferlesch, with his partner Robin Wertheimer, is now bringing that food to his own neighborhood. Werkstatt, which Ferlesch compared to a Viennese wirtshaus (“proprietor’s place”) or neighborhood spots with daily-changing menus, looks charmingly like it was decorated with objects collected over time. There’s a motorcycle, as well as old tin signs on the walls, and a wood-burning stove warms the room during the winter. Part of the restaurant was until recently a residential garage — “There was a car parked in here a year ago,” says Wertheimer — and they built out the place from scratch, installing plumbing, upgrading gas, and so on. The most important part: The food will largely be familiar to fans of Ferlesch, though that’s not to say it’s all the same. 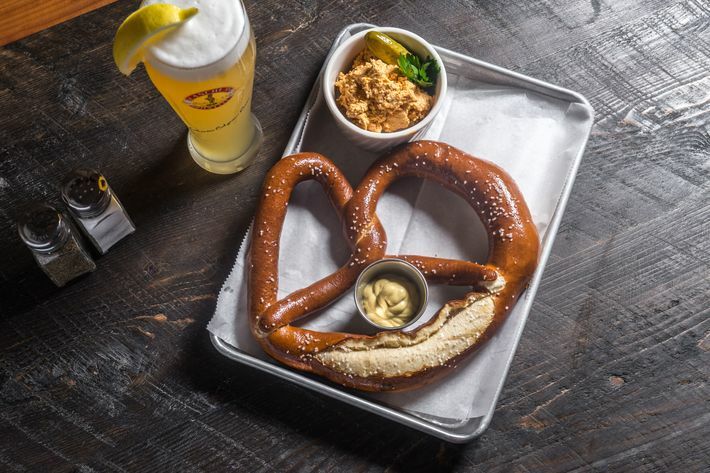 There’s spaetzle with beef gulasch, käse spaetzle with caramelized onions and bacon, four kinds of schnitzel (sterling-silver pork, chicken, celery root, and cod), housemade bratwurst with country bread, and, curiously, three types of tacos and a Parmesan-crusted quesadilla. The reason: Ferlesch just likes tacos. 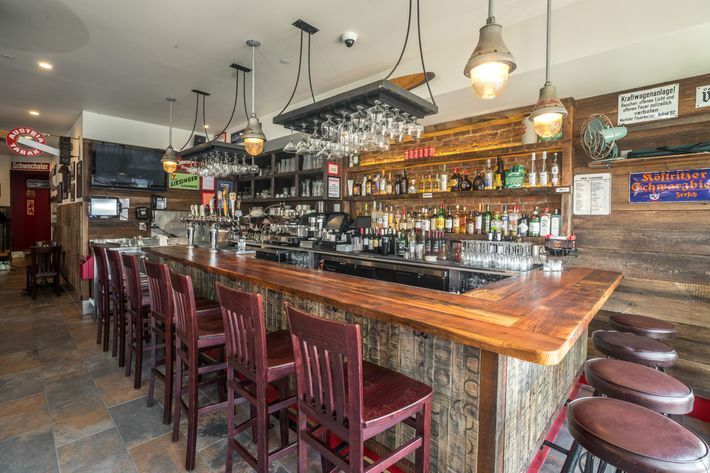 There will be cocktails; draft beers; and wines by the bottle, glass, and on tap, but for some the digestifs may be most exciting: Ferlesch will offer Austrian schnapps, as well as Underberg, along with ports and cognacs. Desserts will be made by Ferlesch, too, which may be another reason to get excited. 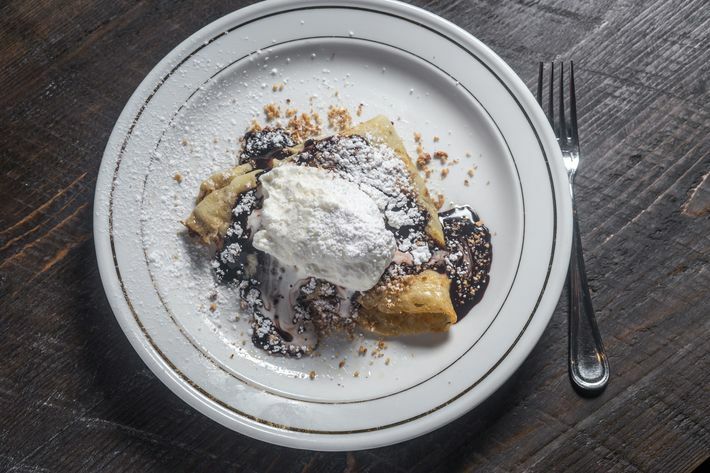 In that ‘81 review, then-Times critic Mimi Sheraton described Ferlesch as “something of a rarity — a chef equally adept at cooking and baking.” Sheraton showered his sweet palatschinken with praise, and you’ll find that treat, albeit with different fillings, on the menu, 34 years later and one borough away.